When I was a girl I would look forward to every April. It was my birthday month, and the annual visit from the Ringling Bros. and Barnum & Bailey circus. Every year, my family would make a special trip for my birthday celebration. It's where I fell in love with elephants. It wasn't until many years later that I learned the truth behind the "magic" - the bullhooks, the chains and cruel confinement - the abysmal treatment and numerous elephant deaths that took place while in the "care" of Ringling staff. 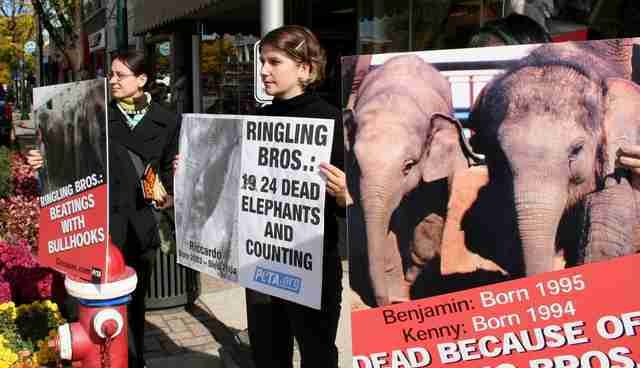 As the Animals in Entertainment Campaign Coordinator at PETA I toured the country a week ahead of Ringling's performance schedule - holding protests and press conferences to inform the public of their cruel practices and encourage a boycott of the circus. 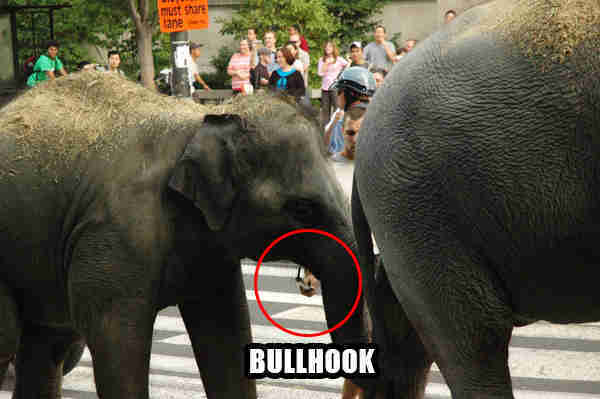 One of our most powerful tools was undercover video footage of ongoing abuse - elephants with their feet locked motionless in chains, every moment they weren't "performing." These magnificent animals, who in the wild walk up to 50 miles a day, would sway side to side in delirium as they were forced to stand captive and motionless. We exposed the brutal beatings the elephants endured captured on video and graphic photos of their ever-present scars. The documented evidence was impossible to deny or ignore. Today's announcement that Ringling plans to retire their elephants from "performing" by 2018, is a victory that is long overdue. Though I am encouraged by this announcement (or more accurately "consciously optimistic"), I believe the elephants should be retired now. Their pain and misery should end today. 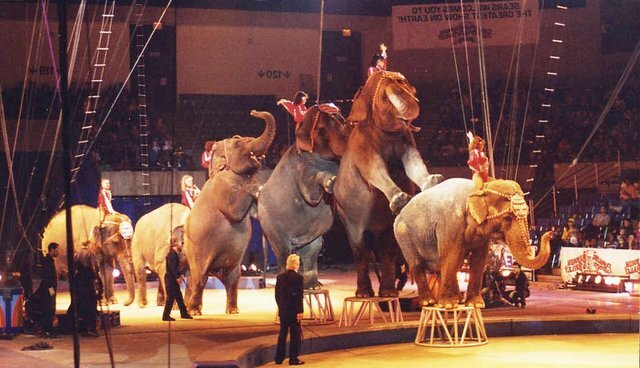 Company officials specifically cite the public's growing concerns of the treatment of the animals and the increasing number of cities and counties who, thanks to dedicated advocates like you, are adopting "anti-circus" and "anti-elephant" ordinances. Some local laws now prohibit the use of bullhooks or require a minimum amount of acreage (that is physically impossible to meet) for the elephants to be housed in while in their jurisdiction. A huge thank you to all the outspoken advocates who put pressure on Feld Entertainment. It is because of your voices and your actions that these changes are being made. Please take the excitement of this encouraging news - that positive change is possible - and recommit to your ongoing efforts to help animals in all walks of life. Elephants, and all animals, deserve our respect and protection. This campaign is just one example of how video and photography can have an immeasurable impact in changing hearts and minds- and providing irrefutable proof of abuse. Visuals make powerful tools of persuasion. There are some things people need to see to believe - and once the truth is exposed, they can't be unseen. Elizabeth Putsché is the executive director of Photographers for Animals. Recognizing the impact and influence imagery can have on an audience to take action, she founded Photographers for Animals to promote animal issues and to help organizations utilize opportunities for photography and film.